On 14th February, enjoy finding creative ways to show your love. Doing something crazy or creative could make your beloved fall flat for you. The ways could be anything like a romantic dinner, gift cards, flowers, chocolates or how about a diamond ring? It’s breathtaking and will be appreciated for a lifetime. Well then you have a diamond ring from F.HINDS worth of £200 waiting for you at Golden Hat Bingo, Deal or No Deal bingo room. Top five highest wagers in Deal or No Deal bingo room can win this gorgeous diamond ring. Don’t miss this excellent opportunity, surprise your Valentine with this diamond ring. If you love having a day designed to celebrate love, go ahead and do your best to pick this romantic red hamper gift set. Bingo players who wager at least £20 or more at the Golden Villa and ‘Wags Club’ room will win an entry into a lucky draw where up to 10 lucky highest wagers will be given £40 worth of Valentines gift. This promotion blooms in the days from 1st to 6th February. Make sure you blush in to bingo! Who would deny the fact that wine blends so well with Valentine’s Day! And this month being the most romantic month of the year, make sure you pick up sensational sparklers, refreshing whites and smooth red wine bottles from Waitrose Wine and that too just with the Golden Hat Bingo treats. To pick up £10 worth of wine bottle, you just have to deposit £25 to play bingo in any of the days from February 1st to 28th. At the end of the month, all the chosen ones will enter the lucky draw were up to 20 players will be given £10 worth of wine bottle. 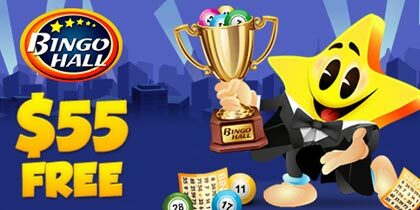 Starting from 7th February to 13th, you have got loads of bingo bonus prizes to win by making your wagers at the bingo rooms. 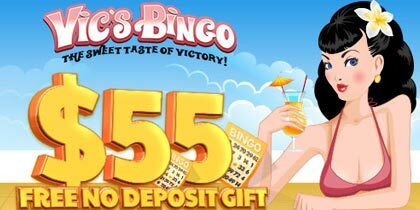 Wager to the most at the Bingo Makeover that is the classic 75 ball bingo room and also the Joker Jackpot bingo room to check out with the interesting card games. 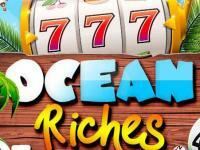 Try with the game play at the super quick Gold Rush speed bingo room to enjoy the fast and quick action of bingo. 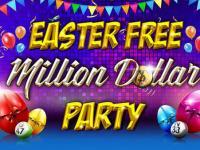 Have a great time playing and making your wagers at the above mentioned rooms you can win the darting bingo bonus. Top twenty winners can grab up to £500 bbz! Redeposit Bonus- Up to 25%: We continue to pamper you in every step when you knock on our doors to bingo. Every day when you move on to the bingo rooms to make a redeposit, we will treat your 1 st redeposit of the day with 25% bingo bonus match. For any redeposit that you make between £20 and £100, we will credit your bonus account with 25% redeposit bonus. 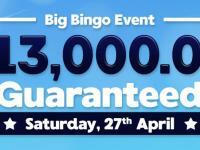 Well then join in this exciting race of bingo bonus sprees happening every day. 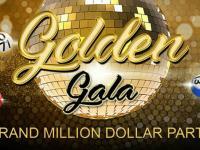 Make a redeposit every single day and claim your bingo bonus by getting in touch with the customer care at support@GoldenHatBingo.com within 24 hours. 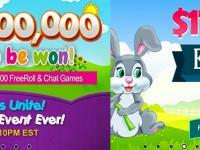 Top up your bonus account everyday with a shower of these bingo bonus sprees.